This is clever guy Mark Rober. He modified a leaf blower into a sweet snow ball chucking, winter dominating machine. This needs to be a team based Olympic sport. 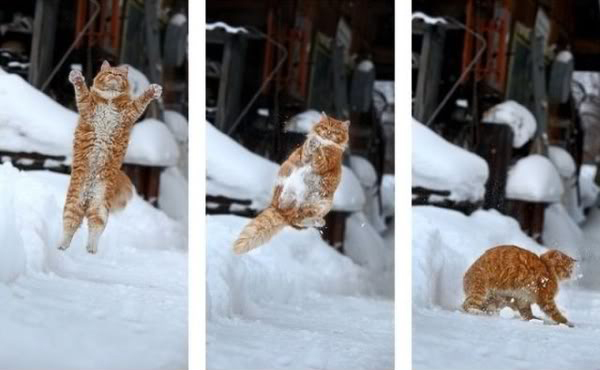 Modern Fix Winter Tip: Cats like snowballs. True Story.